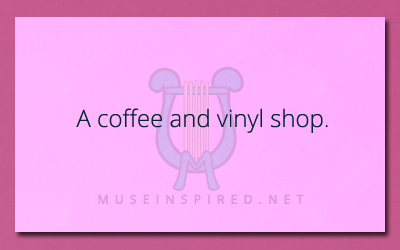 Describe the Setting – A coffee and vinyl cafe. Creating a scene is all about the little details. Describe the setting of a coffee and vinyl shop.